YES! In this price-conscious home buying market, everyone involved should also focus on finding the right place to live- that being the location or community. 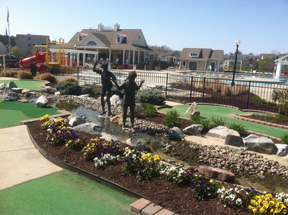 What should you look for in a planned community? Prospective homebuyers generally decide within 30 seconds of driving into a community as to their potential interest in relocating there. When shopping for a new place to live, the first impression is vitally important. Which is why planned communities like The Riverfront at Harbour View, Gatling Pointe, Eagle Harbor, Liberty Ridge, and Founders Pointe in Virginia spend a lot of attention at the front entrance and streetscape architecture. Homebuyers today definitely appreciate a sense of arrival and they notice the meticulous landscaping and the seasonal planting found at the front entry monument. Distinctive architectural home styles and quality homebuilders are other important parts of distinguishing a neighborhood. Do the builders pay attention to the streetscape? Are the homebuilders sensitive to the buyers needs and how long have they been in the business? Do your Featured Builders have a proven track record and have good reputations? Are the homes unique enough yet offering a nice blend of architectural styles? Variety and pleasing color palettes are also important components in most planned communities. The amenities need to appeal to the target market for the community. What do people want today? Are walking trails and parks more appealing to today’s buyer than tennis courts? Surveys and focus groups can help you decide. Investigate the other communities a developer has done in your area if you’re looking at a new neighborhood in the early stage of development. Research and feedback from your present and past customers helps to guide us in our decisions of what to include and what to leave out in our new home communities. Every market is different, but there are trends as to what consumers value today than what they wanted 10-20 years ago. Differentiation and an effective overall marketing and sales approach will help a community accomplish its goal- to develop and create a quality neighborhood that appeals to the appropriate target market and blends well within the local community. Developers and builders need to work together to offer the right product types for the buyers the neighborhood attracts. If the neighborhood is appealing to a wide market segment (like Founders Pointe, Eagle Harbor, or The Riverfront), then there needs to be a wide variety of home styles, sizes, floor plans, and price range. 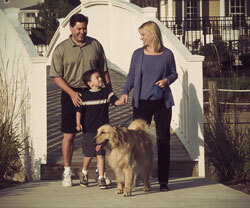 East West Communities will often work closely with 5 to 10 builders in a single community. This allows an opportunity to offer an interesting diversity of home styles and also have strategic Featured Models for sale to appeal to the relocating buyer. It also helps to shape the “look” of the community and accomplish sense of community early on in the development stage of a neighborhood. The sum of all of the above elements helps to develop a community that will attract many buyers in the future and helps to give current homebuyers confidence in their resale value down the road. What are some of the important features that you look for in a new home community? 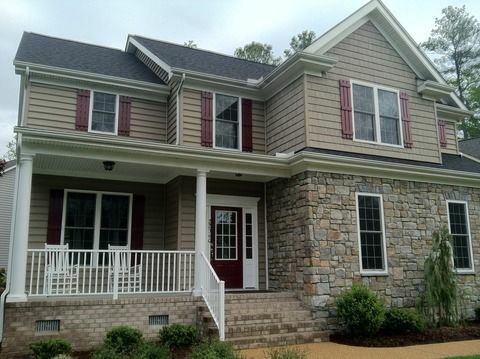 Check out www.eastwestcommunities.com for information about our planned communities in Virginia and Florida. This entry was posted by Connie. Bookmark the permalink.